Created pure and innocent, the newborn angel Fae’s only crime is loving the mortal realm too much. She wants to see, to touch, to taste...and to know. 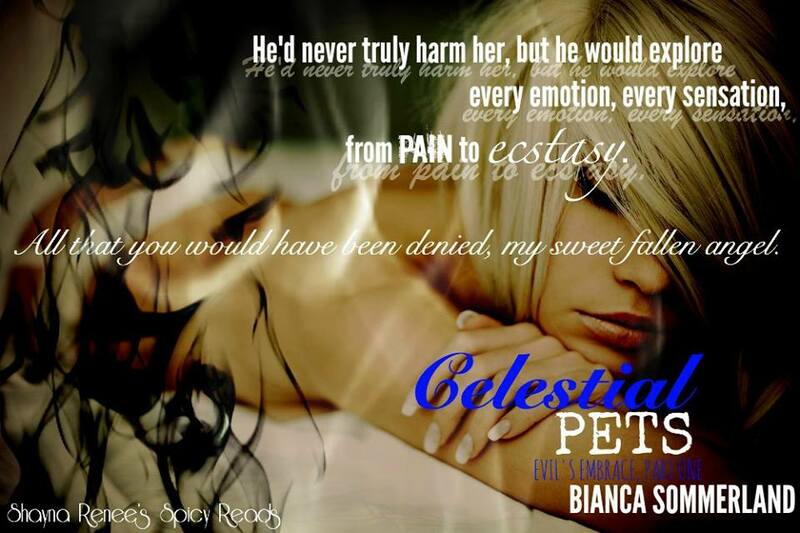 All of which leads to her fall from grace when she meets the demon brothers who give her all she desires. 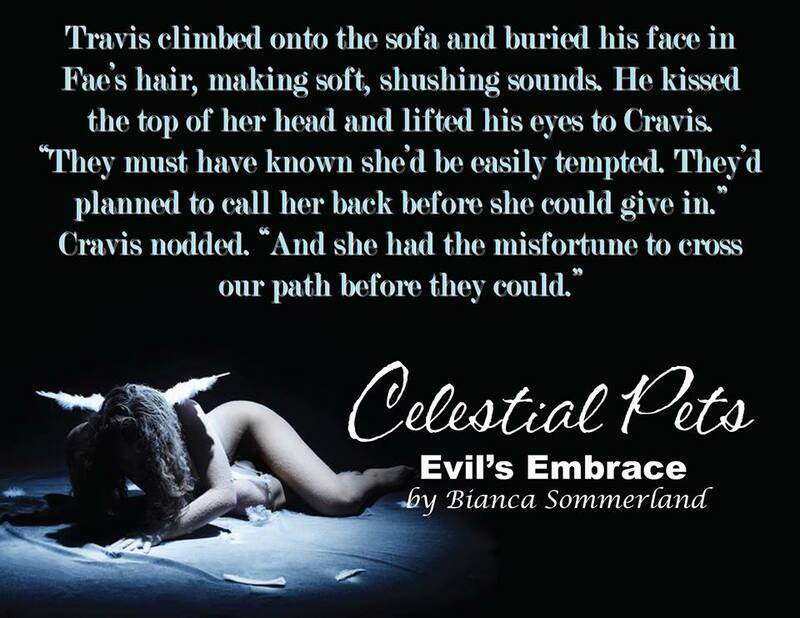 Cravis and Travis toy with the young angel out of boredom, but losing her awakens something inside them that they didn’t know they could still feel. While Travis begins to learn how precious a life can be, Cravis struggles with the fear of how fragile love is, not sure if he can go through it being taken from him once again. The demons will claim the angel, but many dangers threaten the Fallen. Hunted by the Virtues and lusted after by the damned, Fae may be protected as a cherished pet. But she will soon learn she’s worth so much more.